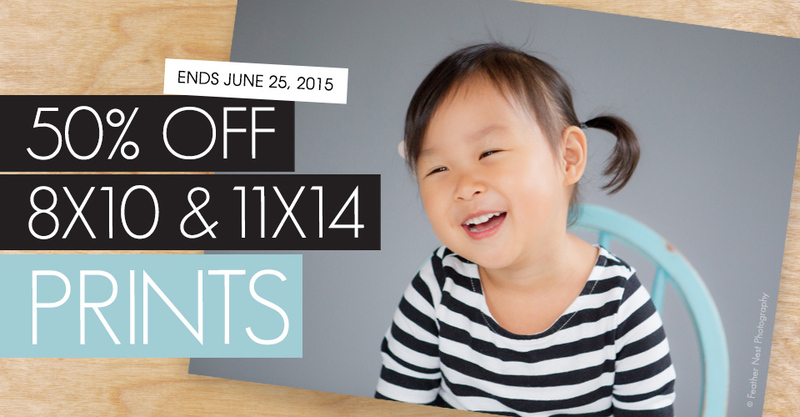 Now through June 25th, save 50% on 8×10 and 11×14 Prints ordered through ROES and Remote Suite Plus Print Products. Available for all three photographic papers (E-Surface, Metallic and True Black & White), enjoy our signature quality and turnaround for only half the cost. Save on current orders, run a flash sale for your customers or update your studio samples. The possibilities are endless! Please Note: This sale only applies to orders placed through ROES and Remote Suite PLUS Print Products. Prints ordered via Proofing, Sports & Events, and School will not be discounted. Not valid for finishing services. The sale price will not be reflected in order summaries or email confirmations. The discount will appear once the order has been received by the lab. No code is necessary and offer expires June 25th at 11:59 p.m. (Central). if I order an 11×14 will that be 50% off even if I add matt board ? First time using Millers… just signed up so not sure about my question… I’m wanting to print in 7×10 (haven’t checked to see if you have this sizing) will the above promotion 50% off apply to a 7×10 sizing? Hi Tarra, unfortunately 7×10 is not included in this sale. Thanks for reaching out to us! Hi Ashley, mounting is not included with this promotion. Thanks! Is there a PROMO code we need for the 50% off or does it automatically take it off when we check out? I see that someone asked about if 8×10 & 11×14 are included in the special if they are mounted & I’m wondering if the print isn’t discounted & we pay full cost for the mounting… OR NO not at all – they (the print) wouldn’t be honored at the discount if we mount our work for a more professional look? Hi Jessica, the discount will be applied once your order has been processed in the lab. Hi Jeanna, the promo applies to both Thrift and Ambassador. The print is still discounted, the mounting price will remain the same. Thank-you so much!! Awesome!! Appreciate your services!! The discount is applied on its own, later, correct? I am reading that but just making sure! I added all of my images to my cart, but I do not see the discount applied. Does the discount get applied later? Thanks for your help! How can a get this sale? I just made my first order and it was a lot of 5x 7s, 8x10s and one 11×14 I know the 5x7s are not 50% off but my total was high and it said the normal price and it did not give me the price after I ordered one instead of it saying 2.50 then 2.00 it just said the same amount on all the photos of the 1 print is that the way this works or do I have to order the same picture multiple times to get the discount on the 2-10th and 11-20th?? Hi Tracy, the discount is applied after we process the order in the lab! Hi Yoly, if you order through ROES or Remote Suite Plus Print Products you will receive the discount! Is the $10 minimum order before or after the discount?